Come get in the spirit…. traditional music, Green’s Harbour Carols, great food. 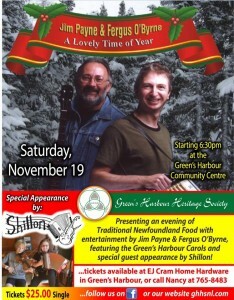 November 19th at the Green’s Harbour Community Centre. Tickets at Home Hardware – $25 per person. Next Next post: Looking for a summer job? Send us your info!